One is Hedingham True Blues and the other I can't make out properly, but has "Follow Follow" along the bottom. Nice to hear, this seems to be a regular occurrence. Though there's a couple of things missing from your post, hopefully someone else will oblige! Boxing Day at the MCG would be the one. Always take in a couple of days at a home test each year. Headingley is probably my favourite venue. Great fun during the day at the cricket and some great pubs around the area at night. Been to Headingley a few times and Old Trafford once,brilliant day out. Both are brilliant mate, but for me the atmosphere at Headingley is hard to beat in cricket. Agreed. I had a couple of days at the Test there this summer just past. And have tickets for a couple of days at the Ashes test there in August. Unless it clashes with the unfurling of the flag for 55, in which case i’ll need to give the second day a miss and get my tail up the road! I’m in Aussieland next January and might just get there if there’s a test match on. Haven’t checked yet but the wife is going to be a bit bemused when I tell her I want to be in ‘x’ to see the cricket. She’s used to be planning stuff around the Rangers games mind you. The Aussies will be licking their wounds after we've gubbed them in the Ashes this summer. Cape Town is meant to be a great venue mate. Should be an amazing trip. I've done Boxing Day at the MCG, and it was a day of England batting total capitulation. To add to that I got severely sunburnt on a day where the sun barely shone. If you ever get to Aus, DO NOT underestimate the lack of a meaningful ozone layer. You can easily burn badly on a cloudy day. My boy was at Newlands for the recent test v Pakistan and then up to Jo’burg for the Wanderers Test as he was over seeing friends after Christmas, lucky git! He’s convinced me to do it with him! Been to Ashes tests at Sydney, Melbourne, Perth and Adelaide. Hope to do Brisbane to complete the Aussie grounds and really fancy Cape Town. Always a good day out in the sunshine. Only been to one cricket match. The New Year test between the Aussies and India over ten years ago. Sell out crowd, drinking cold beer all day in the sunshine and a great atmosphere. Cracking day out. Don't miss it if you ever get the chance. Me and my mates have made a lottery pact. If any of us ever win we're all off to either Oz or the Windies for a tour. We dream on. 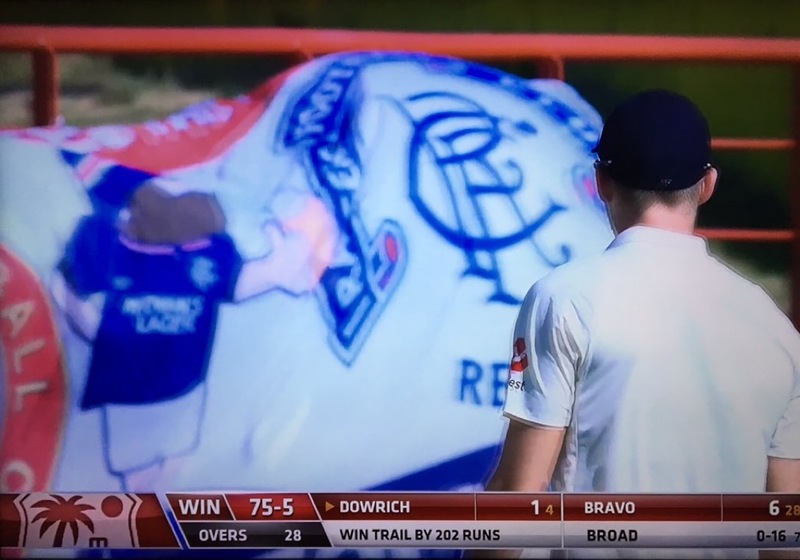 A large UJ with ‘Isle of Skye Loyal’ is seen now and again at the cricket. I'm seriously considering that for The Ashes in 2020 mate. Looking at 6/7 weeks whole of December then first two weeks in January 2021. The Ashes won't be in Oz till November 2020 to January 2021. I’m lucky enough to have done most venues. Get to Edgbaston it’s best of the lot. Wanderers, Centurian and Newlands Cape Town are great over here. I went to SA v Pakistan final one day at Newlands a couple of weeks ago. Not a huge cricket fan but the Oaks grass is some place to take in the day. Absolutely stunning location for a stadium and it only costs about £12 to get in, pints are less than £2! Brilliant day out. Making first visit to Headingly this August for the Saturday of the Ashes test. Looking forward to a libation or 12 . Been to Trent Bridge a few times as my mate stays not far from Nottingham and had the pleasure for my 1st test match of watching the colonials getting put to the sword by Broad , all out just after lunch. A superb day out much maligned up here. The atmosphere kicks off at about 8am when the pubs around the ground open. Never a dull moment from then onwards. Same mate, sat and watched the 3rd test all day yesterday. Saw England in the Ashes in Brisbane a number of years ago. Was a great day out even though the wickets were tumbling and we were getting humped. I can't stand Cricket, but that is still good to see! I had no idea that we had a lot of Cricket fans? Never watched a Cricket game in my life. Lol. Done the tour at the MCG cracking stadium ! You'd probably be surprised just how many mate. I know a lot of Bears who've got a decent interest in cricket. I’m going the Saturday and Sunday to Headingly. You live up this way and travelling down or you based down south.